Modern cars come with a lot of fancy technology ranging from vehicles that “talk” to you to self-driving mechanisms that ease the strain of driving. However, there is one new technology that has not received the attention it deserves and is ideal for use in the stop and start traffic we normally seen on roads in Dubai and many other cities across the world. Auto-hold brakes are simple to install and use but make a tremendous difference to the hassle of getting through a lengthy traffic jam. When auto-hold brakes are used all you need to do is lightly touch on the brake pedal to stop the car from moving when you are stuck in traffic. A light on the dashboard indicates that the system has been activated and when you press on the accelerator, the brakes are automatically released. This is a bit different from hill-hold assistance, in which case the brakes are held for just a few seconds when the vehicle is on an incline to prevent it from rolling back. For those who regularly spent their time stuck in traffic, switching between the accelerator and the brake can become quite a chore and auto-hold brakes will make commuting a whole lot easier. Mercedes has used this technology in some of their models and many more manufacturers are slowly adopting this feature. It will likely become a feature that all customers will expect as a standard option. Early versions of auto-hold brakes worked only with automatic transmissions but modern versions work with manual gears as well. Most such units work in tandem with the electronic stability program and anti-lock brakes, so they are not too difficult to install, but all models having them will also need to have an electronic parking brake. 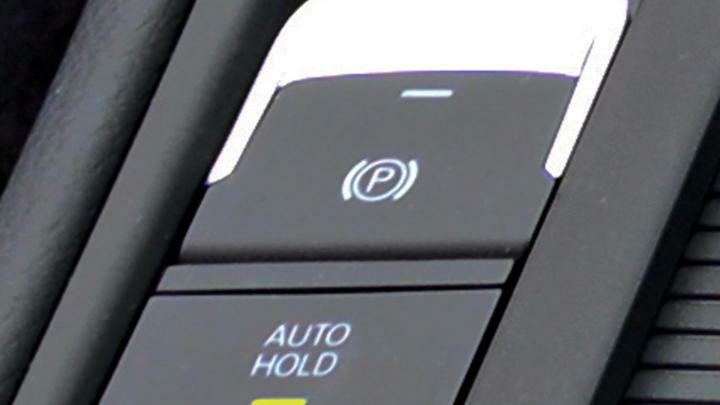 New models from the Volkswagen, Audi, SEAT and Skoda generally have auto-hold, if they come with an electronic handbrake.